VietPress USA (April 16, 2018): The PerezHilton reported that "No one at Fox News is safe from sexual harassment accusations. But veteran anchor Sean Hannity isn't letting his past transgressions send him the way of Bill O'Reilly and Roger Ailes. The Sean Hannity Show host was recently accused of sexual harassment by former Fox News guest Debbie Schlussel, who claimed the political pundit wanted to mix business with pleasure when they appeared together for one of his programs. 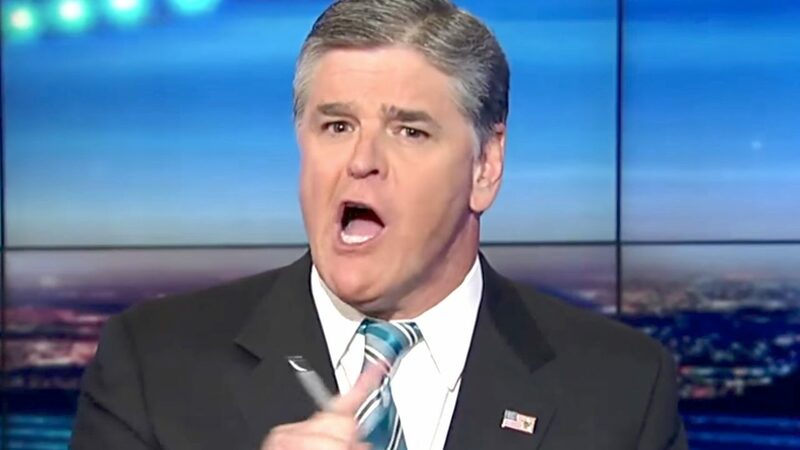 Speaking on the Pat Campbell Show on Friday, Schlussel claimed Hannity invited her to his hotel room twice — and when she rejected him, she was never asked back on the show." Today the Federal Court in Manhattan on Monday afternoon, April 16, 2018 the name of Sean Hannity was released on orders from U.S. District Court Judge Kimba Wood, eliciting gasps in the courtroom. Cohen’s legal work for President Trump and for a prominent Republican fundraiser, Elliott Broidy, involved payments to women to keep them quiet about sexual relationships. NEW YORK — Michael Cohen’s mysterious third client, whose identity he tried to keep secret, has been revealed as Fox News host Sean Hannity. Hannity’s name was disclosed in federal court in Manhattan on Monday afternoon on orders from U.S. District Court Judge Kimba Wood, eliciting gasps in the courtroom. Cohen’s legal work for President Trump and for a prominent Republican fundraiser, Elliott Broidy, involved payments to women to keep them quiet about sexual relationships. Attorneys for Cohen and President Trump are trying to control access by prosecutors to documents and electronic devices that were seized in an April 9 FBI raid on Cohen’s home, office, and a hotel where he was staying. That raid was the result of a criminal investigation that involved Cohen’s personal business dealings and payments to two women on behalf of Trump. Before revealing the client was Hannity, Cohen’s attorneys said it was “a publicly prominent individual” who was concerned about having his name released to the public and had specifically asked them to try to keep his name secret. One of Cohen’s lawyers told Wood he did not want to reveal the name of Cohen’s third client because “no one would want to be associated that they had been a client … in this way.” He did not specify exactly what he meant by that. Wood ultimately instructed Cohen’s team to reveal the name of his third client. “Your honor, the client’s name that’s involved is Sean Hannity,” said one of Cohen’s lawyers. Hannity did not immediately respond to an email from Yahoo News asking what type of legal work Cohen did for him and why he was concerned about his name being released. Hannity has been a staunch defender of both Trump and Cohen on the airwaves. In court on Monday, Cohen’s attorneys argued that he needs to review the documents taken in the raid, as they may contain privileged communications. If he is not allowed to review the documents, they proposed that a special master be appointed to examine the documents before prosecutors. As of this writing, the hearing is ongoing. Assistant U.S. Attorney Thomas McKay was the first to raise the issue of Cohen’s mysterious third client. He said Cohen’s failure to identify the person was an indication Cohen and his team would make an “inevitably overbroad claim of privilege” if they were allowed to review the documents seized in the raid. “The continued resistance to provide the court with facts and names is just a preview of what would come if the court accepted Cohen’s proposal,” McKay said. McKay also defended the raid against claims by Cohen’s team that it was an unreasonable search. “The was nothing improper about the way the search warrant was executed,” McKay said. McKay noted the warrant was executed because a judge found probable cause it could uncover evidence of a crime, and that it is typical of white-collar cases to involve searches that could include some privileged communications. The judge, he said, would have been aware of that possibility. “The only thing that makes this case unusual in any respect is that one of Mr. Cohen’s clients is the president,” McKay said. After McKay brought up the unnamed third client, Wood pressed Cohen’s legal team to identify him. She said withholding the name would not be “in accord with the law of this circuit.” Wood suggested the mere identity of a lawyer’s client is not a privileged communication, and said Cohen would not have ethical obligations to withhold the name if he was ordered to reveal it by the court. Cohen’s legal team offered to write down the client’s name to give it to Wood and the prosecution. At this point, Robert Balin, an attorney representing multiple media outlets, stepped up. Balin is pushing for greater public access to details of the case. Balin argued that the letter from Cohen’s team “made the argument it would be embarrassing” for the client to be “associated” with Cohen without providing any legal basis for keeping the name under wraps. “I see no basis for restricting public access,” Balin said. Harrison’s assertion that naming the client could endanger the entire legal system prompted widespread laughter in the courtroom. “I just can’t understand the argument that just because this undisclosed client consulted with Mr. Cohen that that is somehow embarrassing or an invasion of privacy,” Wood said. Stormy Daniels, an adult film actress who claimed she had a sexual liaison with Trump, was also present in the courtroom. Cohen has admitted to making a $130,000 payment to Daniels in exchange for her silence, although he has denied her account, and Trump has said he had no knowledge of the arrangement. Daniels is suing both Trump and Cohen to get out of the agreement, which currently subjects her to a multimillion-dollar penalty. She is also suing Cohen for defamation.